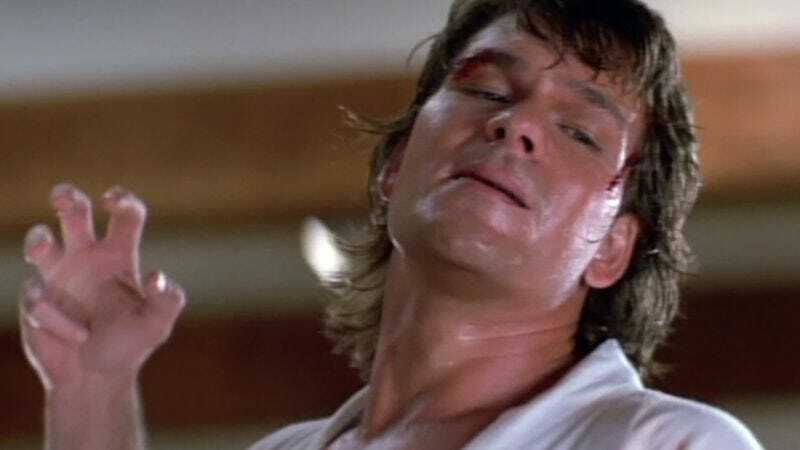 As part of the continued effort to wake the spirit of Patrick Swayze, so that he might once again possess Whoopi Goldberg’s body in time for The View’s February sweeps, MGM has set The Fast & Furious director Rob Cohen to helm a remake of Road House. The 1989 original has remained a favorite over the years among fans of action movies and awesomely stupid dialogue, inspiring everything from off-Broadway musicals to late-night phone calls to Kelly Lynch’s husband. What it hasn’t remained is safely ensconced behind the chicken-wire cage of sanctity—particularly as MGM continues to paw through its video library looking for successes it can try to repeat. So now the guy who gave you Tyler Perry: Action Hero in Alex Cross will give you a newer, more modern bouncer who roundhouse-kicks his way through a newer, more modern bar, offering newer, more modern Zen koans to the unconscious bodies of unruly patrons, all while sporting a newer, more modern model of mullet. And when Road House joins the remakes of Red Dawn, Point Break, and Dirty Dancing, plus the Ghost TV show, we’ll be only a new Father Hood away from permanently wresting Patrick Swayze away from the afterlife.